The Bayonne Golf Club Journey is an amazing story while comparing excellent before and after photos, admiring beauty shots of the property to include the golf course, clubhouse and the Hudson River views. 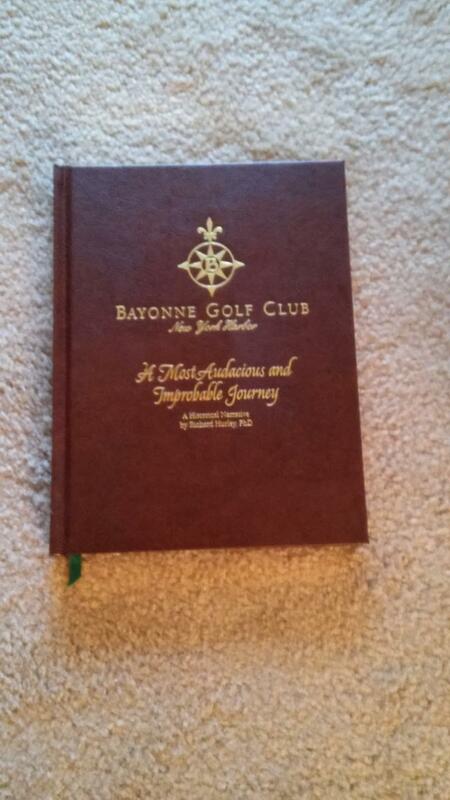 Copies of the book are only available for purchase through the Bayonne Golf Club pro shop. Priced at $80 per copy in the pro shop, add $10 for shipping. The castle style clubhouse with lighthouse is set in the center of the golf course affording a view of 13 holes, Hudson River and City sites to include the Freedom Tower in Manhattan. 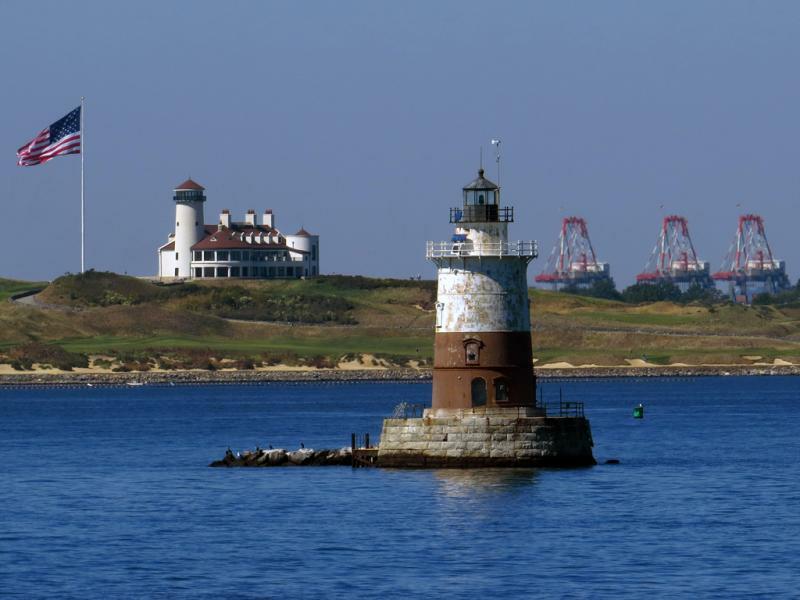 Robbins Reef lighthouse located in the Hudson River approximately 1.4 miles off the No. 17 fairway of the Bayonne Golf Club. Hole No. 18 is a 454 yard par 4. This uphill finishing hole is guided between large, grassy dunes, takes the golfer home. I am pleased to report the completion of my new book, THE BAYONNE GOLF CLUB, New York Harbor - A Most Audacious and Improbable Journey. Situated in New Jersey only five miles from lower Manhattan. 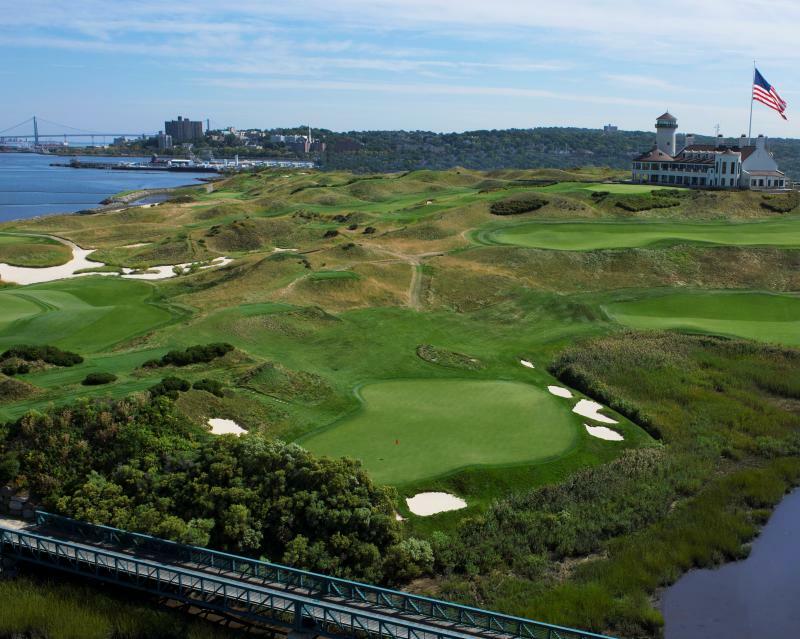 The Bayonne Golf Club has been recognized as one of the finest examples of a man-made links style golf course as found anywhere in the world. 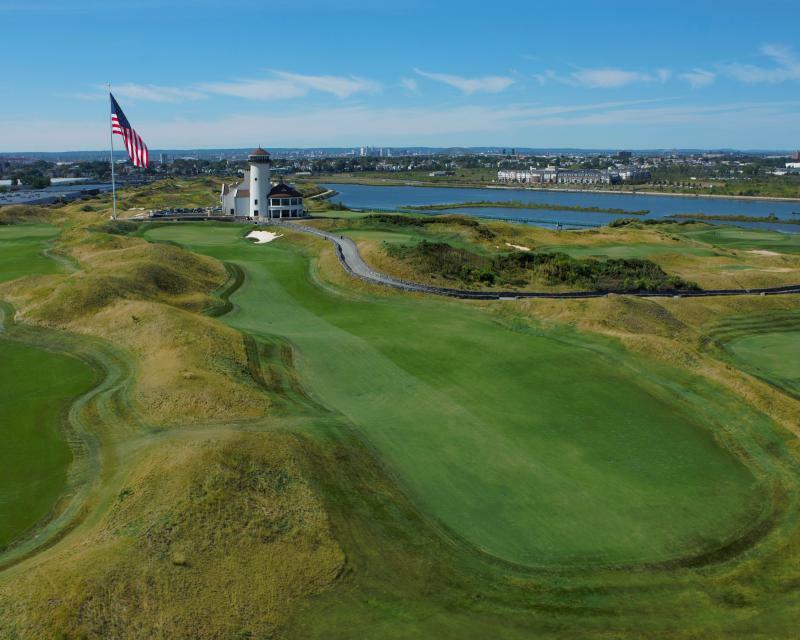 Since opening the clubhouse in 2008, Eric Bergstol (Owner, golf course architect, developer and operator) and I have discussed writing a historical record of the 10 year journey that made the Bayonne Golf Club a reality. Without letting another year pass, I felt the time had come to preserve just how the Bayonne Golf Club came to be. The book is 9 x 12 inch in size, coffee table style, made of the highest quality materials featuring a Cromwell Eurobond leather cover with gold gild text tipped edges, inclusive of 181 pages with 180 color photos. In addition to the history of the land, including the municipal landfill and a site for depositing river dredged material, the primary time frame and focus of the book is the ten year period, 1998 - 2008. The story includes planning and permitting considerations, course design and layout of the golf holes, the construction process, completion of the golf course and club formation leading up to opening the Club for members play in May of 2006. Additionally, included in the book is how the clubhouse was constructed over a 18 month period from 2006 to 2008 along with describing materials used for finishing the clubhouse.